ProHealth Partners represents the most comprehensive and well established physician medical group in the Greater Long Beach Area and surrounding communities. With over 40 different physician offices in the area patients are never more than 5 minutes away from a ProHealth office. While our physicians represent a diverse range of medical specialties, backgrounds, and geographic locations, they are unique in one way. All ProHealth physicians enjoy the professional independence to ensure that the health care needs of patients will always be the first priority. Get your online access to your medical information and other features. 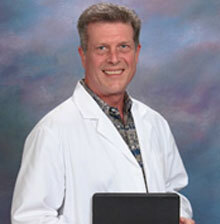 Dr. Comer is automated on the Harris CareTracker Physician EMR System. Our office can usually accomodate same or next date appointments for established patients. Dr. Comer participates in most major HMO & PPO Plans as well as Medicare. Over 20 years in the Long Beach community. Most HMO and PPO plans as well as MediCare accepted. “Patients with No Insurance is accepted”. Same or Next Day Appointments Often Available.